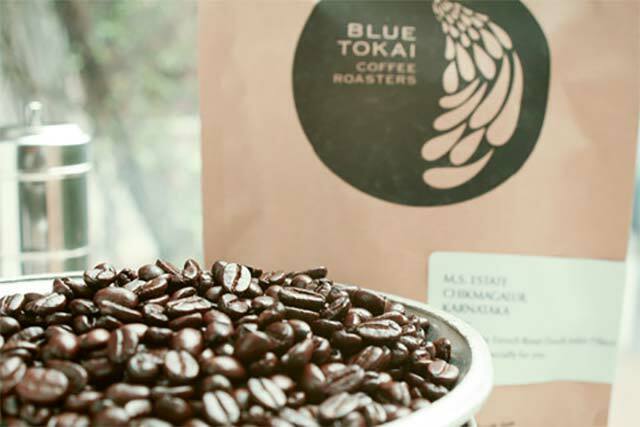 Blue Tokai Coffee Roasters, a Delhi-based specialty coffee etailer, has raised an undisclosed amount in seed round of funding led by Snow Leopard Technology Ventures, a venture fund that provides seed capital to the internet and technology businesses in India. Bold Ventures, which provides early stage capital to companies operating in design, data and technology sectors, also participated in this round. The startup, run by Muhavra Enterprises Pvt Ltd, will utilise the money to set up roasteries in major cities across the country, starting with Mumbai by the middle of this year. It has recently launched a roaster and cafÃ© in the national capital. The company will also use the capital to launch new products and build a robust technological interface, a statement from the company said. "We believe they are uniquely positioned to open up and carve out the specialty coffee market in India and we are excited to partner with them on their journey," said Chris Kolenaty, founder of Snow Leopard Ventures. In 2013, the venture capital firm had invested Rs 2.5 crore in Voylla.com, a jewellery and accessory e-tailer owned by Bangalore-based Voylla Retail Pvt Ltd. The same year, LivQuik Technology (India) Pvt Ltd, a Mumbai-based payments technology startup, also raised an undisclosed amount from Snow Leopard Technology Ventures. Blue Tokai, which was launched in 2014 by Matt Chitharanjan and Namrata Asthana, claims to be sourcing single-estate Arabica coffee beans from premium Indian coffee estates, roasting them on order, and mainly selling them online direct to consumers. It also has an offline presence through which it supplies to leading cafes, restaurants and hotels across the country. "Having investors such as Snow Leopard Ventures and Bold Ventures on board further validates our model and approach," said Matt Chitharanjan, co-founder of Blue Tokai Coffee Roasters. Chitharanjan, a former hedge fund trader, said that the startup has entered into direct sourcing agreements with coffee farmers in Karnataka and Tamil Nadu. Speciality tea e-tailer Teabox.com, which recently got funding from Tata Sons' chairman emeritus Ratan Tata, has a similar kind of business model. Teabox works with about 200 plantations in Darjeeling, Assam and Nepal. It claims to vacuum-pack the tea within 24-48 hours of production and ship it within the next 24 hours to ensure freshness of the products.